Where do I find the QR scanner password? 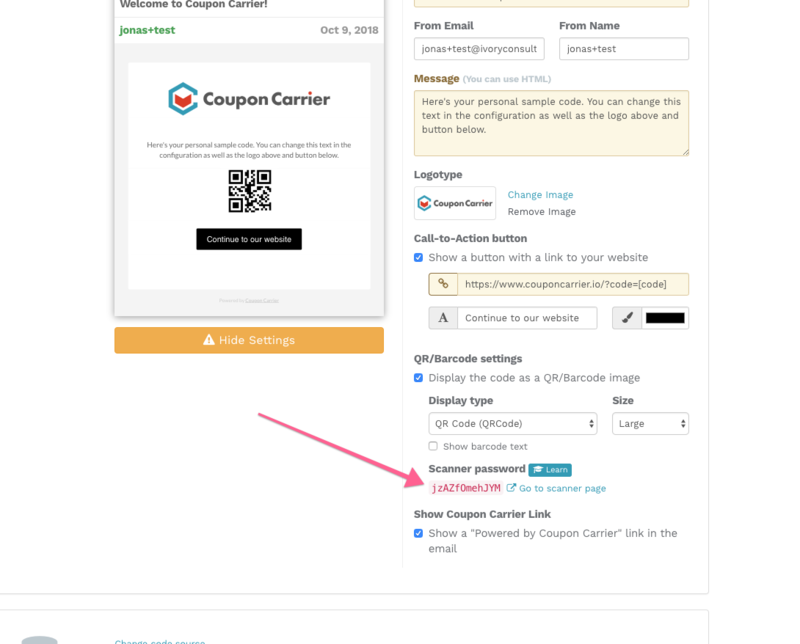 The password for the QR Scanner is located next to the QR/Barcode option in your configuration. Each configuration has its own password. This will automatically log you in using the password attached in the URL. You can also bookmark this link for quick access to different scanner logins.